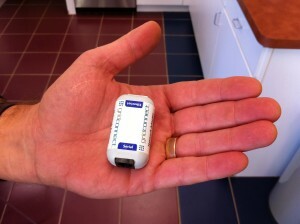 IP in your hand… Really!! 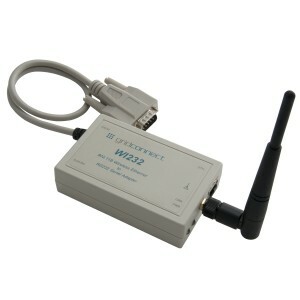 The world’s tiniest device server, the NET232jr, was originally nicknamed by its first customer as “IP In Your Hand”. This clever turn of phrase gave us a few chuckles, but it does point out the amazingly small size of the NET232jr. The NET232 “junior” enables serial devices with IP technology in the smallest package available in the world (as far as we know!). We were able to shrink down the size of our standard NET232 by getting rid of the power regulation circuitry and the power LED. This change requires that power be provided to the NET232jr over the serial port (coming from the serial device), and that power must be regulated at 3.3VDC or 5VDC. This obviously means that the NET232jr is not for everyone. 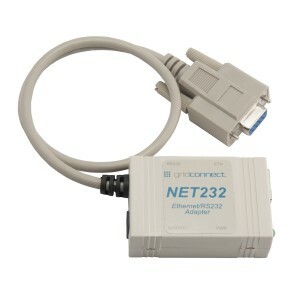 The NET232jr has been primarily used thus far by OEMs who want to offer it as an add-on for their serial port devices, and who have the ability to modify the serial port of their product to put out the power required. You might ask “if you’re going to modify your product to put out power on the serial port, why not just go ahead and add the XPort (the main component inside the NET232jr) to your product instead?” Well, there are several reasons why you might not want to do that. First and foremost is cost. Maybe you expect only a limited percentage of your customers to actually need an Ethernet connection. Why put an XPort in every product? Why not just sell an add-on that is small, smart, cost-effective and can be customized to your specifications with ease? This is the motivation for the NET232jr. Another interesting use of the “junior” is when you have a serial device that must be operational at all times, and you need to “live swap” it for servicing quickly and simply. If you use the NET232jr as the network connection, then you can leave the NET232jr attached to the network while you swap out whatever serial device is attached. This means you do not have to reconfigure the network connection for the new device; you simply plug it in and the NET232jr “remembers” the network settings. Thus, you do not need to call in IT personnel to replace your serial device – anyone can do it – just plug it in! The NET232jr came into existence when a customer asked for something smaller than the NET232 (which is already one of the smallest Serial to Ethernet device servers on the market). Grid Connect is happy to discuss your project/product needs with you and see if we can find a solution – even if you don’t see on our website. We have on staff a team of engineers dedicated to finding solutions to your networking problems. Maybe you need a custom design that will fit in your enclosure or cabinet. Who knows – maybe you’ll even see an “IP in your cabinet” blog post someday!